Expert hands-on advice on getting the most out of Web 2.0 and cloud computing. Applications like YouTube, Facebook, Flickr and Slideshare all raise legal problems for the information professional. Whether you're working with, managing or using Web 2.0 or cloud computing applications you will need to be able to assess and manage risk effectively. This no-nonsense practical working tool will make the relevant legal principles simple to understand for those with little or no experience and make common problems quick to solve when you're struggling with daily deadlines. 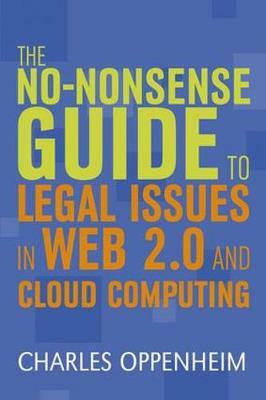 Each chapter starts with an accessible introduction to the key areas of relevant law and the implications for Web 2.0 and cloud computing. Cross-sectoral case studies illustrate real world problems and exercises with easy-to-follow, pragmatic solutions allow you to quickly develop good practice. The relevant practice is discussed in relation to these key topics: the major legal issues raised by Web 2.0 an overview of copyrightother intellectual property rights and related rightsdata protection including UK and EU law freedom of information defamation and global differences in defamation lawcloud computing issuesliability issues. Readership: This is an essential toolkit for all information professionals working in public, academic or special libraries, archives or museums, who are working with, using or managing Web 2.0 or cloud computing applications. It also provides a practical introduction to the law on these topics for LIS students and academics.